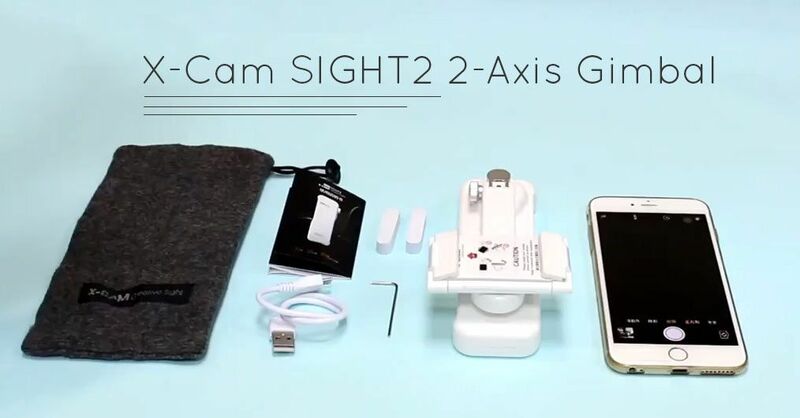 X-Cam SIGHT2 2-Axis Gimbal Review: Should you buy it? Carrying a DSLR camera everywhere & everyday is a bit of a pain. Most of our life moments are captured using our Smartphone’s camera. While the images turn out to be great on Smartphone with good camera quality, but what about the videos? While capturing videos on our smartphone, we often capture a shaky video which is really not so pleasing to watch. While most smartphones come with “Optical Image Stabilization (OIS)”, we still find minor shakes which ruins the fun. 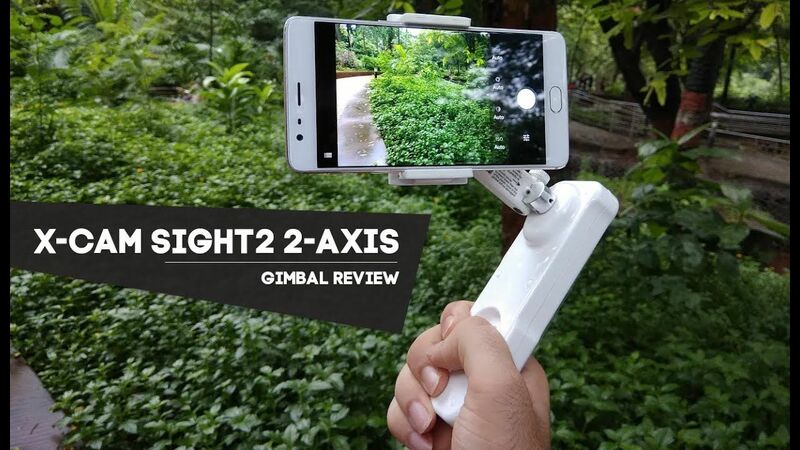 Well, today we’re here with a review “X-Cam SIGHT2 2-Axis Gimbal”, which claims to fix all those minor trembled videos. Let’s see if it really works. The package comes with a Gimbal of course, a small micro USB charging cable, a Pouch to carry the gimbal easily anywhere, a screw and a user manual. The device doesn’t come with a charging adapter. Talking about the gimbal, using it is pretty easy, only once you know everything. If you’re trying it for the first time, make sure to balance the device onto the holder such that, the holder remains perpendicular to the gimbal. The Gimbal is made of good quality plastic and can easily last any fall, during my testing I did drop the gimbal several times and it was working pretty fine. You can trust on the built quality. The grips of the device holder are strong enough and there won’t be any situation when you drop the device while filming. Now focusing on to handling and usage, it’s really comfortable to hold the Gimbal and use it for long hours. There’s no much “Gimbal Knowledge” required, for using this gimbal. You just need to put the device in, place your smartphone at the CG, long press the On/Off button, wait for it to glow and you’re all set to start shooting. The Gimbal comes with a button to move the camera up and down which they call “Tilt button”. But it’s a complete nightmare to use that button for professional videography; as the movement is too quick and you just can’t control the transition. It would have been lot better if they would have provided some levels or adjusted the overall speed to make the up/down movement a lot more smoother. If your phone is on the heavier side, you would have tough time with the tilt button as the gimbal literally lags a lot while moving the phone upwards and battery drains a lot faster. The setup process takes a lot of time if your phone is bigger in size but once you know CG of your device, you can do it in secs. Also, if your Power button or Volume buttons are placed lower or somewhere near the center, the gimbal will keep pressing those buttons and you would have a hard time filming. Since the Gimbal is only 2-Axis which works only on the X-Axis and Y-Axis, the videos are bit shaky while on bike or moving too fast. Don’t expect any complete stable videos as it requires a 3-Axis gimbal to remove shakes of all the axis. Like most other Gimbals, this one is very compact and easy to play around with. How will it help? Well, if your gimbal is light weight, you can use it for long hours and capture cinematic shoots more easily. Imagine a heavy Gimbal + Phone setup and you need to move it up/down slowly, after sometime you would feel the weights and it would result in “not so” good video. Think it this way, If your Gimbal is heavy, after installing your phone it would become more heavy. The battery life is decent enough to last a single trip. After full charge, the battery lasted for around 1.5-2 hours; which I believe is a good battery life from a gimbal this small and lightweight. Also, the gimbal comes with beautiful glowing lights that glow in different colors depending on the remaining battery. Here’s few Sample shots captured and compared with Gimbal and without Gimbal. Also, the device gets charged quickly within an hour. 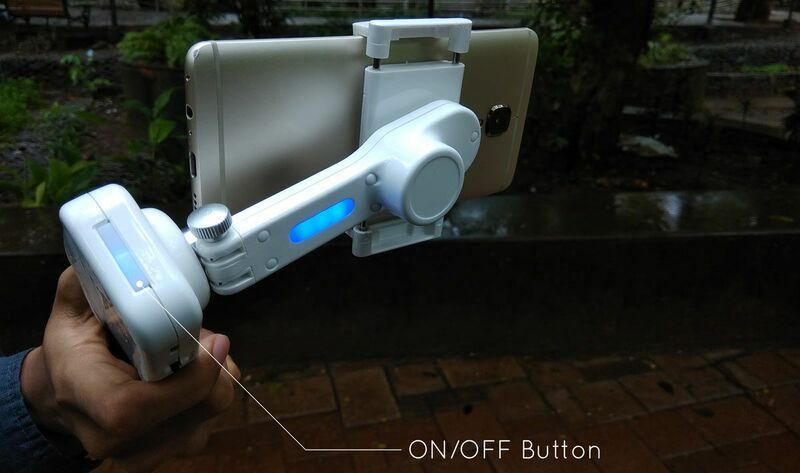 You can connect the Gimbal to your device through bluetooth and enjoy one handed operation like Start recording or to pause an on-going recording, you just need to press the button and press it again to start recording. Easy, isn’t it? It really helped me record some really cool Trekking Vlogs which required almost no Editing as I didn’t use my left hand for any operation, which makes it no so pleasing to watch. So, should you buy this Gimbal? As it’s only a 2-Axis Gimbal you won’t get completely stable videos but for this price, it’s surely a win situation. Thanks to Banggood for providing the Gimbal for review, you can buy the product from Banggood. They provide worldwide shipping, which is surprisingly very fast. 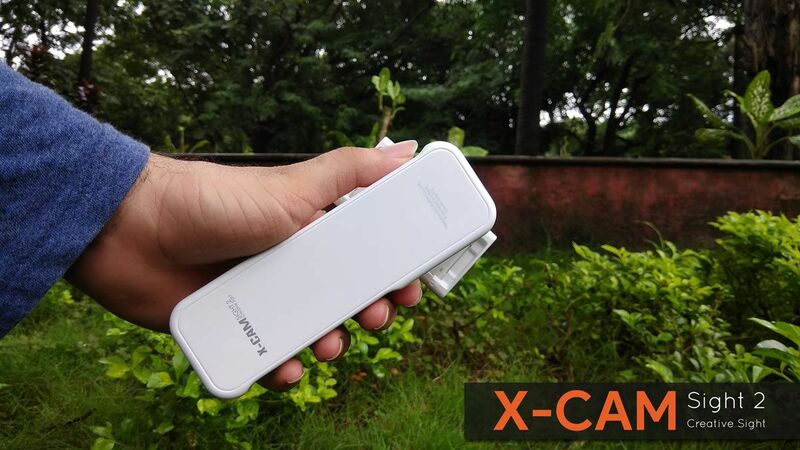 This product is available for $46 which is cheaper than few selfie sticks and smartphone cases. A budget friendly gimbal with decent battery life & quality. As it's only a 2-Axis Gimbal you won't get completely stable videos but for this price, it's surely a win situation. It's a kind of gimbal, with which you'll get bored easily. No battery phone, is it possible? Top 10 Best Custom ROMs for Redmi Note 4 you must try!